A boreal species coming south very locally to the Lake Superior region of Ontario and fens or openings in conifer swamps in the eastern Upper Peninsula. 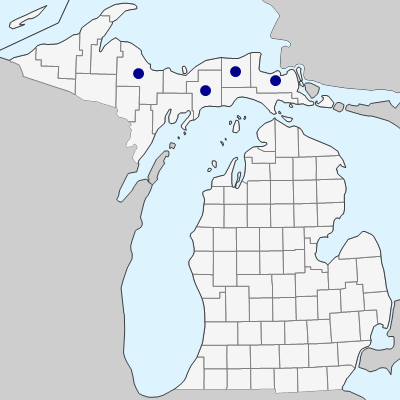 In Michigan, as at many places in its range, it apparently hybridizes with R. pubescens, producing R. ×paracaulis L. H. Bailey. Hybrid plants generally have pale pink petals but more acute tips on the leaflets than does R. acaulis. MICHIGAN FLORA ONLINE. A. A. Reznicek, E. G. Voss, & B. S. Walters. February 2011. University of Michigan. Web. 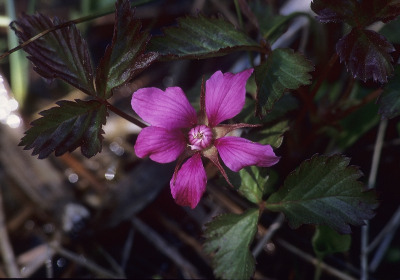 April 20, 2019. https://michiganflora.net/species.aspx?id=2551.